The financial markets and services providers regulator of Switzerland – FINMA – has warned of unregulated forex broker – 69Brokers. According to the broker’s website, 69Brokers.com is a global software company which develops and successfully operates a leading online trading platform. The company provides trading with Forex, Indices, Commodities, Shares and Crypto. 69Brokers doesn’t disclose the company behind the brand’s name. It claims to have offices in Birmingham, UK and Zurich, Switzerland. 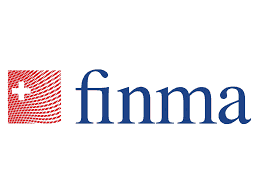 They also provide a regulative registration number: 248/16, that probably should mean the company is regulated by Swiss FINMA, however, this information is false and the broker is not authorized to provide its financial services in Switzerland or any other country. The negative comments about the 69Brokers on the net also reveal that those who invested are having hard times with withdrawing their money, while the company representatives are cold calling them promising high returns. When engaging with brokers that do not operate on the grounds of a valid license, issued from a trustworthy authority, traders are putting their investments at higher risk. It is better to avoid dealing with unregulated and choose properly regulated and reliable brokers. A good example of such are the ones supervised by the FCA or FINMA. You can read our review on this broker here.